Renowned as the Italian studio wizard, Davol is not only a very successful music producer but also the owner of the acclaimed professional mastering studio masteringservice.net in Salerno. 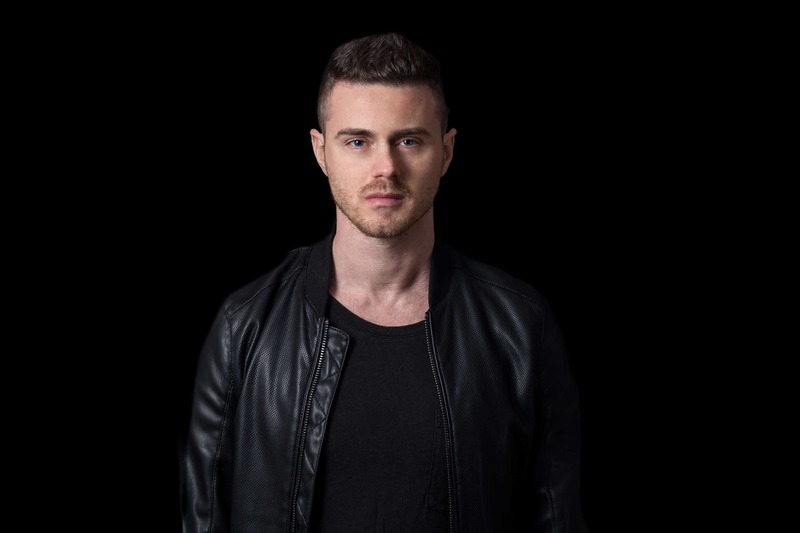 Focusing on various EDM genres, his cutting-edge studio has curated tracks that are released on various major record labels, such as Spinnin, Armada, Revealed, Protocol, Mezsed Up, Zerothree, Sony and many more. With many talents across the globe showing trust to Davol‘s experience and production skills, Viralbpm decided to sit down with the Italian music engineer to find out the secret of his success, while trying to learn more about his studio, upcoming tracks and new projects. V1. Davol you’re the owner of masteringservice.net, a professional mastering studio based in Salerno, Italy, while you’re also a very successful music producer yourself, releasing tracks on various labels such as Flamingo, Armada, Panda Funk, Hysteria and others, throughout the years. What’s your music back round? V2. Your studio offers various professional services of music engineering, including stem mastering, mixing & arrangement finishing, vocal processing, just to name a few. Tell us more about your services and specializations? Davol: After studying as engineer my great opportunity it was to work with big names in big studios, this job its not only to have a degree, the most important thing is to have experience and i have 15 years of it. V3. What about your equipment and studio capabilities? “Cutting-edge” is a characterization that applies? V4. Funkybeat, Killmod3, Al Sharif, Jerome Yan Kings and many other talents have worked with you in order to get their releases on Spinnin, Armada, Protocol, Mezsed Up, Hysteria, Panda Funk, Sony and many more. Can you reveal to us any other undergoing projects, taken under masteringservice.net? Davol: We have a lot of big news coming. There are many projects in store for 2018 both nationally and internationally, but now it’s too early to tell. V5. Some of your clients at MASTERINGSERVICE.NET have released tracks on major labels, such as Armada, Protocol, Revealed, Sony Music, Zerothree, just to name a few. Are there any interesting stories you could share with us, regarding the most challenging projects you’ve faced so far? Davol: Certainly I think that Funkybeat music is one of the most difficult and complex sound to work as engineer. His style is so unique and it needs a lot of knowledge of music to mix it. He is a great musician and his music needs a great studio for sure 🙂 …and here I am ahah! After him, I can tell that house music requires a lot of work on it, particularly in this moment that this genre back to sounds vintage and is in this case that I use especially analogs processing. V6. Davol you’re also arranging the ghost production of tracks in MASTERINGSERVICE.NET, while you undertake remixes that can participate and win contests or make bootlegs and mash-ups. Are this service on high demand nowadays? What do you see? Davol: Ghost production is a complex aspect. Nowadays a lot of big DJs and artists don’t have the time to sit in their studios so the only thing that they can do is to think about an idea and who can develop it. a people like me that the only job that I do is to work in my studio. So I can be called ghost producer or the men behind the scenes. V7. However, all end-up in one specific question: Why should someone choose your services? Davol: People know the quality! I have mixed and mastered a lot of tracks on the major labels that everyone can listen to understand. As I said I work in my studio with a 15 years of experience that not many people have and I’m specialized not only in dance music.We always to meet their expectations but the most important things that now is that the labels know me and how we work for a mixdown. It always a great satisfaction. V8. Any new releases or collabs we should expect from you any time soon? What’s in store for 2018? V9. To close with, how did the social media affect your personal life, but also your career and work as an artist? Is it important in order to cultivate a relationship with your fanbase? Which platform is your favorite one? Davol: Honestly I think is one of the most important aspect in this job. I have a great friendship with all my clients, they tell me in every moment of the day,for everything and who work with me and my studio knows that I can help them always. I love this aspect because when you have a studio you have the great opportunity to exchanged many ideas and experiences and this is really important for me. With the social media era is all more easy, we have the chance to work with people from all over the world and it’s amazing don’t you think? Every success of one of my guys is always also my success.